For many years, Santa Claus has been putting smiles on both children and adult faces. Santa is available for parades, corporate functions and advertising as well as personal home visits. Santa also accepts donations on behalf of the The Children's Wish Foundation in the Region of Waterloo. Santa Claus visits are available in the Kitchener-Waterloo and London areas. Contact us for a visit from Santa Claus in KW, Kitchener Waterloo, London, Cambridge, Happy Hills. 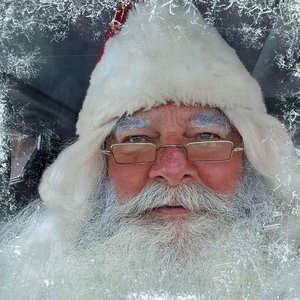 Santa Claus is available for Christmas parties and other holiday events.